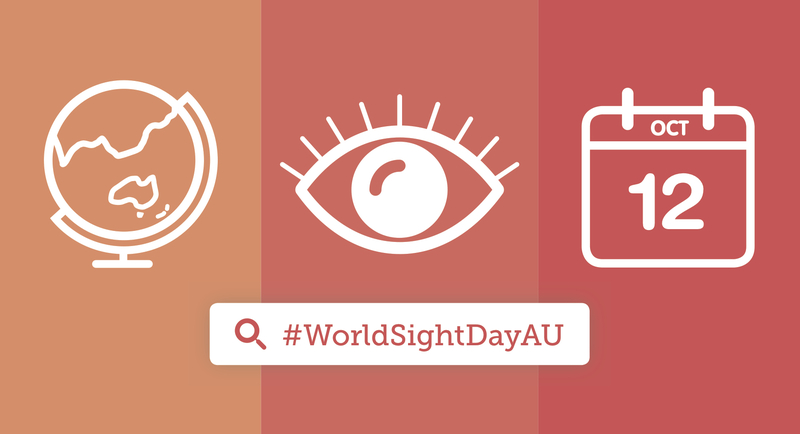 World Sight Day is a global day of awareness around the issues of blindness and vision impairment. Established in 2000, World Sight Day takes place on the second Thursday of October each year. This year World Sight Day is on Thursday 10 October 2013. The international theme for World Sight Day this year is ‘Universal eye health‘, with a call to action of ‘Get your eyes tested‘. In Australia 75 per cent of blindness and vision loss is preventable or treatable. Ensuring all Australians get their eyes tested is key to helping everyone protect and preserve their sight. Saving your sight could be as simple as getting an eye test. Blog about World Sight Day and what it means to you. Write a media release and distribute it. Start the conversation about World Sight Day on Twitter and Facebook, using #WSD2013. Talk about World Sight Day in Parliament and in your networks. Use the information available for download below for your website, newsletter, in speeches and in media materials. The below resources have been tailored to three areas of interest: global, health and local.